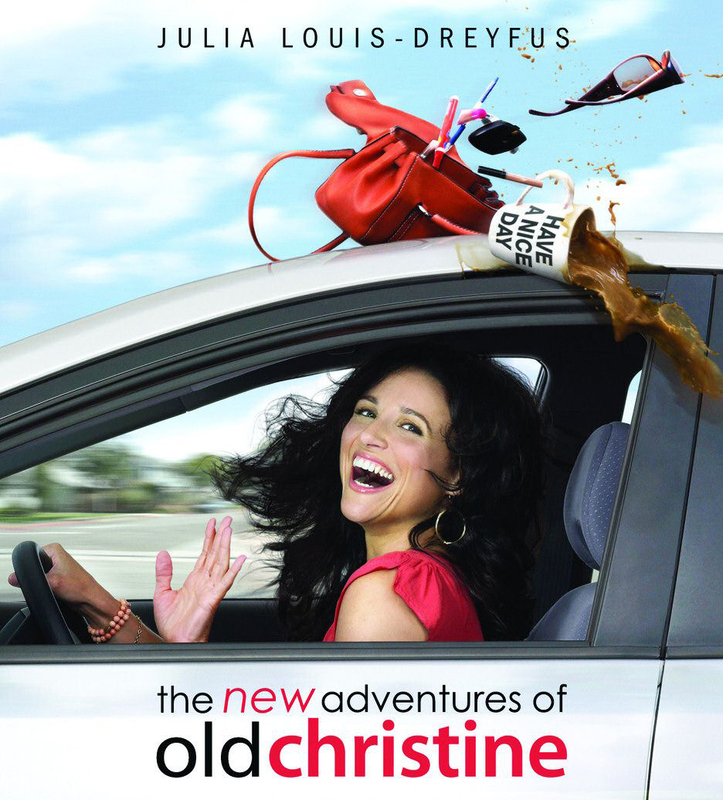 An unorganized, self-conscious single mom on the verge of being an alcoholic is one way to describe Julia Louis-Dreyfus' television series "The New Adventures of Old Christine". The excellent title comes from the fact that Julia's ex-husband on the show, Richard, is dating a younger woman, also named Christine. By default, that makes Julia's character "Old Christine." But describing the show does little to express the enjoyment of the actual experience. Julia pulls out all the stops in a no holds barred performance. Some of her best moments are the more unexpected jokes. Her obsessive behavior adds to these moments. She wants so badly to do things right that she doesn't pay attention to what she's doing wrong. In the third season episode "One and a Half Men", Christine starts using a testosterone cream to help with what she believes is perimenopause. Every scene shows her masculinity escalate to the point of absurdity. But Julia excels as absurdity. In another season 3 episode entitled "Beauty Is Only Spanx Deep", Christine obsesses over plastic surgery. She receives an image of what she might look like after surgery, which can only be described as horrifically funny. But Christine, in her disillusioned mind, thinks it's an improvement. The episode, one of the funnier ones, actually does a great job expressing people's obsession with body image. And it's this responsible writing that helps make the show more realistic. Christine is basically a more animated version of the typical American woman. The men on the show do a good job of representing a typical male as well. They even poke fun at the unfair stereotypes that are commonly seen on television. Created by Kari Lizer ("Will and Grace"), the Emmy-winning series surrounds Julia with an amazing cast: Clark Gregg as ex-husband, Richard; Hamish Linklater as younger brother, Matthew; Trevor Gagnon as son, Ritchie; Emily Rutherfurd as "New Christine" (Richard's girlfriend); and Wanda Sykes as Julia's best friend, Barb. And of course rounding out the cast are meanie moms Tricia O'Kelley, as Marly, and Alex Kapp Horner, as Lindsay, who constantly make Julia feel out of place at Ritchie's private school. Old Christine's ex-husband, played by Clark Gregg, adds a perfect balance to Christine's insanity. He may not be the brightest bulb, but his logic for "manly" things help Christine better understand the male's point of view, something of which she is horribly clueless. And for a single mom with a terrible track record, she needs all the help she can get, even if it's from her ex-husband. And if Clark Gregg looks familiar, you've probably seen him in the majority of the recent Avengers-related films as Agent Phil Coulson (Iron Man, Iron Man 2, Thor, and The Avengers). His comedic timing and perfect deliveries were in tune during his time on "Old Christine" and has helped gain him a huge fan base. In fact, his role as Agent Coulson was originally very small and limited to the first Iron Man movie. The character never even existed in the Marvel universe until the film. But it's Gregg's screen presence that not only made Coulson a bigger role, but also a solid character for Marvel. So much so that his character is now on the animated series, "Ultimate Spider-Man", which Gregg voices. The show boasts incredible guest stars with incredible characters. 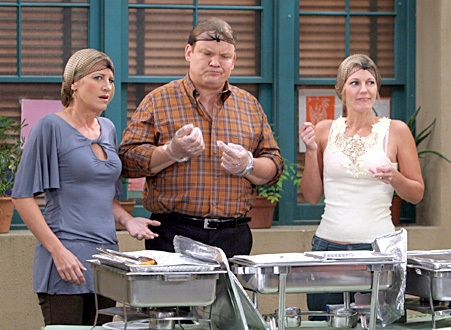 Andy Richter stands out as Stan, or, better known as "Sad Dad". Sad Dad is a single father who hunts for single moms with low self-esteem. Though Richter only appears on the show a total of four times, his presence is magnificent. And his appearances are sporadic enough to surprise you every time. Other noteworthy guest stars are Tim Meadows, Scott Bakula, Stephen Tobolowsky, Amy Sedaris, Jason Alexander, Blair Underwood, and Eric McCormack. And from this list of guest stars, it's obvious the show is well-connected with some of the best comedic actors. And that connection is the result of a solid cast and crew. Behind the scenes, Andy Ackerman takes directing duties. Ackerman is best remembered for directing such hit television series as "Seinfeld", "Cheers", "Fraiser", "Wings", and most recently, "Whitney". Sadly, "Old Christine" only ran for five seasons (from 2006-2010), but each episode is a winner. The show is currently being syndicated on Lifetime which has fortunately given the show a new breed of followers. Probably the most commendable aspect of Julia Louis-Dreyfus is her fearless approach to humor. She has no reservations about making herself appear both unattractive and unappealing. Those who remember her best for her incredible "Seinfeld" character, Elaine, will be amazed to see how much more range her Christine character allowed her. It's easy to compare her beauty and talent to someone like Madeline Kahn, but Julia is truly on her own level of a comedic actor. The show itself is cleverly written for both male and female viewers, making it fun for the whole family. Julia had moments on "Seinfeld" when she could show off her slapstick humor but it's on "Old Christine" that really proves her talent. TRIVIA: Julia Louis-Dreyfus received a star on the Hollywood Walk of Fame on May 4, 2010.